Cesar Sayoc Jr. faces up to 58 years in prison over packages with bombs mailed to prominent Democrats. US Attorney General Jeff Sessions announced on Friday that Cesar Sayoc Jr., who was arrested in connection with the series of suspected explosive packages mailed to prominent Democrats, has been charged with five federal crimes. Sayoc, who was arrested in Florida, faces up to 58 years in prison, said Sessions, who called his alleged actions "unacceptable." "Political violence or the threat of violence is antithetical to our vigorous system of self-government," the attorney general said at a news conference. The charges include interstate transportation of an explosive, illegal mailing of explosives, threats against former presidents and other persons, threatening interstate commerce and assaulting federal officers, according to The Hill. 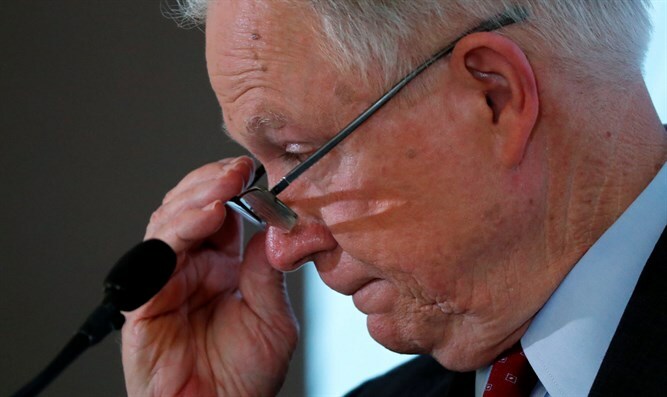 "Let this be a lesson to anyone, regardless of their political beliefs, that we will bring the full force of law against anyone who attempts to use threats, intimidation and outright violence to further an agenda," Sessions said. "We will find you. We will prosecute you." Sayoc was arrested at a business in Plantation, Florida, a city some 30 miles north of Miami. Plantation is located in the district represented by Rep. Debbie Wasserman Schultz (D), whose office was listed as a return address on several of the packages. The first explosive device was discovered Monday night at the home of Democratic philanthropist George Soros in Westchester County, NY. The Secret Service later intercepted packages sent to the residences of former President Bill Clinton and former Secretary of State Hillary Clinton as well as former President Obama on Tuesday. A suspicious package, believed to have been sent to former CIA Director John Brennan, was received at the offices of CNN in New York. On Thursday, a suspicious package was sent to the address of former Vice President Joe Biden. Actor Robert De Niro also reportedly was mailed a similar package. FBI Director Christopher Wray said on Friday that investigators used DNA and fingerprint evidence pulled from the packages to locate Sayoc. Wray emphasized "these are not hoax devices" and described some as "improvised explosive devices." Asked why the suspect targeted Democrats, Sessions said "he appears to be a partisan" but declined to comment further on his motive.